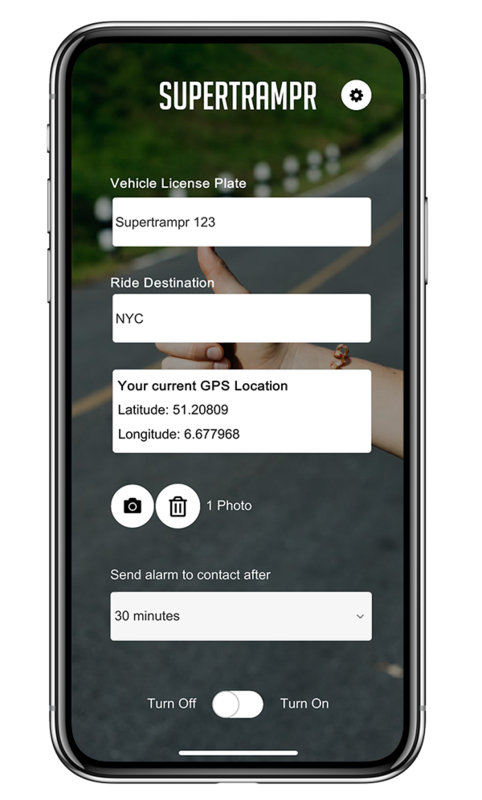 Supertrampr makes hitchhiking safer. Enter license plate, start alarm and you’re ready to go. 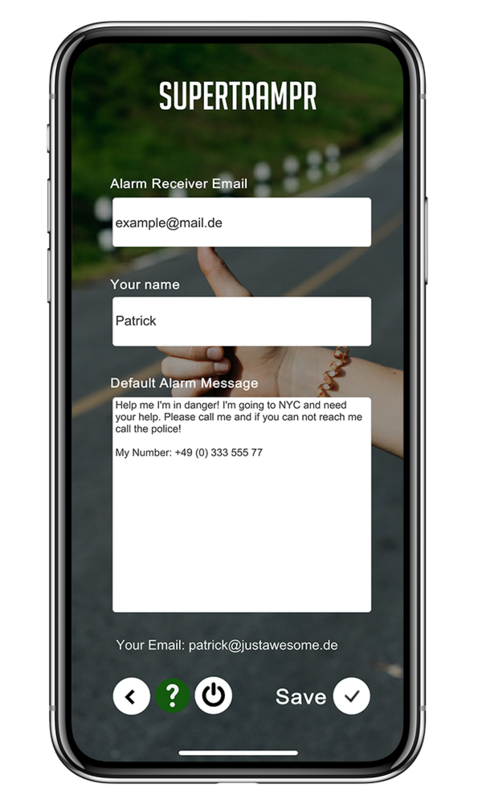 If you don’t reset or cancel the alarm, it automatically triggers and notifies your emergency contact. This way your relatives and friends know right away if something goes wrong. Then they can contact you. If they can’t reach you, they can use the information to track you.